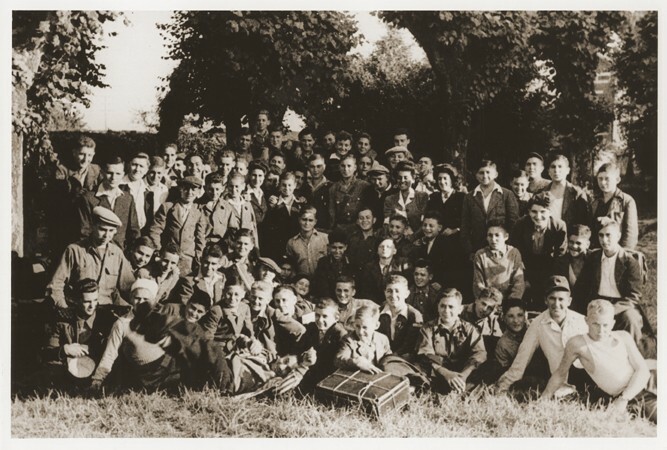 Group portrait of Jewish displaced youth at the OSE (Oeuvre de Secours aux Enfants) home for Orthodox Jewish children in Ambloy. Elie Wiesel is among those pictured. Ambloy, France, 1945.